The world we live in is constantly faced with threats from both natural and man-made hazards. You open the TV and hear about natural disasters such as earthquakes, tornadoes, or hurricanes. Or it could be about the latest terror attacks or terrorism threats. Whether you like it or not, these threats exist. When an emergency strikes, how prepared are you? Preparing for an emergency now helps increase your chances of survival. 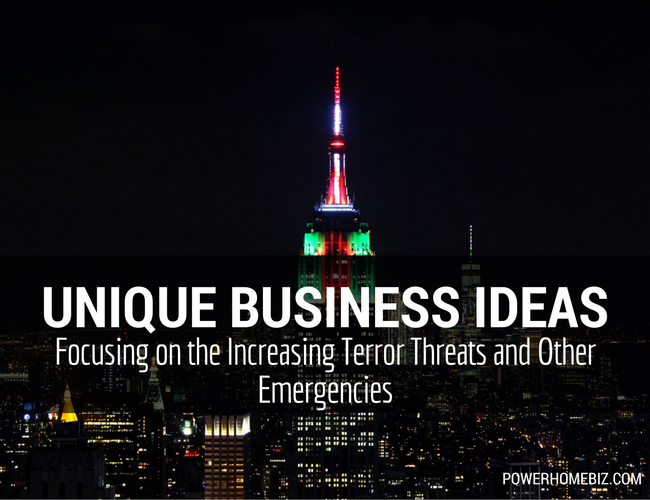 Seeing this growing need, some businesses have found success in helping others prepare for emergencies and threats. When a terror attack hits New York City, mass evacuation could follow. Residents and those who work in NYC can be expected to flee the city. There will be mass chaos with traffic at a standstill, especially if the train system is shut down and the bridges are closed. With this scenario in mind, Plan B Marine http://www.planbmarine.com offers a way for NYC families and residents to leave the city – by boats. Plan B Marine’s provides maritime evacuation services so their subscribers can leave the city in the event of critical infrastructure failure or other catastrophic events. Their customers pay a monthly fee for as low as $250 for a single person to about $7,500 per month, depending on the type of boat. Some of the boats available include a 7-meter rigid-hulled inflatable boat, an ex-Navy vessel that holds 18, or the high-end all-aluminum 25-foot Coast Guard boat with a heated cabin that carries 10. The company gives training to clients on how to operate the boats. Survival Kits Online https://www.survivalkitsonline.com/ sells discounted products aimed at emergency and disaster preparedness to help save lives when disaster strikes. They offer emergency supplies and survival kits for various kinds of emergencies including natural disasters such as earthquakes and hurricanes, or man-made disasters such as terrorist attacks or fire. The site sells complete kits for individuals such as the One Person Gear for $25 to the Deluxe Office Emergency Kit for 20 people for $270.95. Each of these kits contains food and water products, light and communication products such as waterproof matches and emergency radio, shelter and warmth products such as solar blankets, hygiene and sanitation products such as an infectious waste bag, and first aid kit. The site even sells pet survival kits such as the Cat Emergency Survival Kit that’s useful for earthquakes and evacuations. 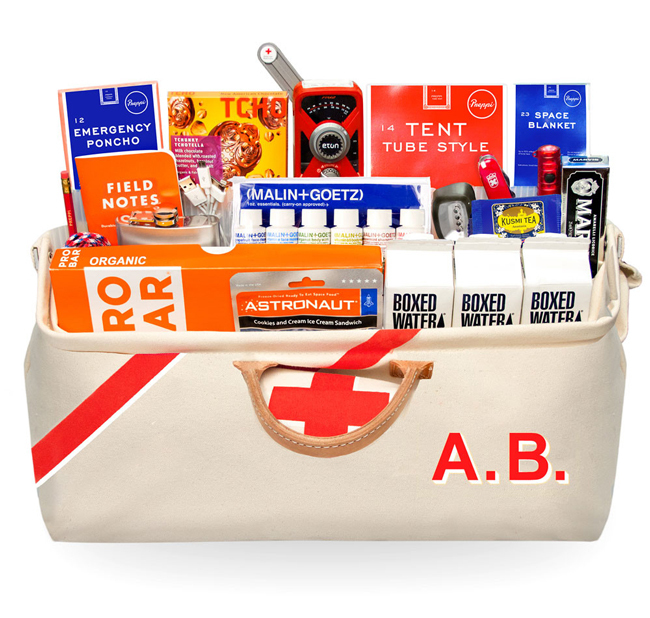 Who says emergency kits need to be boring? If you want your survival kits stylish, check out Preppi.com https://preppi.co/. Preppi offers chic emergency kits packed with high-end items and life-saving gadgets in a handsomely-designed Prepster bag. The beautifully-designed bag is made of leather and canvas, and can be monogrammed upon request! The Prepster bag is a 72-hour survival kit priced at $375 for a one-person kit and $445 for a 2-person kit. It includes luxury comfort items such as Malin+Goetz® beauty products, Kusmi tea, tent, emergency space blanket, tech gear such as Hand Crank Radio & Solar Phone Charger, and first aid essentials. As security and safety concerns increase, demand for bunkers and safe rooms especially among the rich has increased. A safe room is a highly secure space where families can hide safe and wait until help arrives during a home invasion, terrorist attack or other life-threatening events. Others build fortified rooms to provide protection from natural disasters such as tornadoes and hurricanes. Safe rooms are designed to be discreet and most are equipped with communication systems and closed-circuit television to allow those inside the saferoom to contact police and ask for help. Most safe rooms are built in residences. However, with the increasing number of workplace shootings, some businesses are installing safe rooms. The features of these safe rooms have also grown beyond the bullet-proof wall materials and glass. Gaffco Ballistics http://www.gaffco.com/ put in an air filtration system that protects you against nuclear, biological and chemical gasses. These systems cost about $300K-$400K. Terrorist attacks are one thing, but zombies are a whole different level. If you’ve been watching The Walking Dead and similar shows, you know that “there is no room for error when dealing with the undead.” OpticsPlanet.com offers its Z.E.R.O. Kit, which stands for Zombie Extermination, Research, and Operations http://www.opticsplanet.com/zero-zombie-kit.html. The kit is priced at a whopping $23,999 and it includes reinforced gloves, cases and backpacks, thermal and night vision scopes, a few knives, laboratory equipment, protective gear such as cutaway plate carrier armor, and nearly a dozen accessories such as laser sights and slings. If preparing for zombies is not your thing, you can get hunting gears, tactical products for shooters, camping equipment, and others from the site.